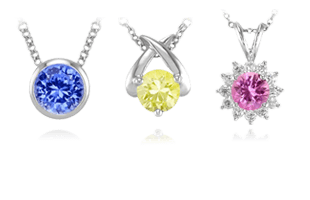 Over time, the cut of a gemstone has been reimagined over and over again for beautiful results. 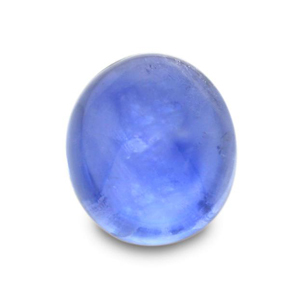 A blue sapphire cabochon gemstone. 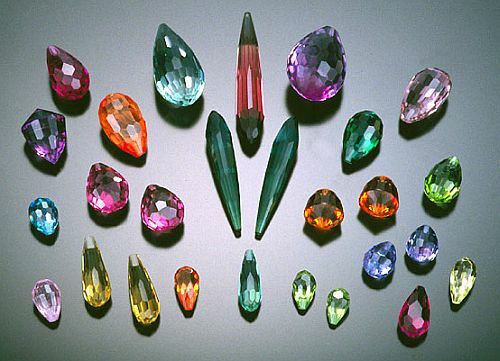 In the past, most gemstones were cut into cabochons . This ancient cut features a curved upper surface with a flat or curved underside. The upper portion of a cabochon may be a simple dome or a series of curved surfaces that meet in a pyramidal arrangement (e.g., a sugarloaf cabochon). A cabochon may be any shape, but circles and ovals appear most often. 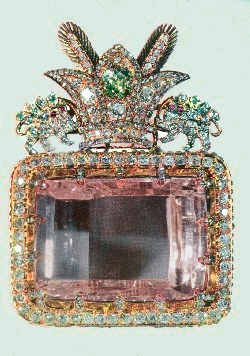 The Darya-e Noor diamond is a pale pink table cut gemstone. Improved gem cutting techniques enabled lapidaries to cut facets into gemstones. Facets are the flat, polished surfaces or planes of a finished stone. In the past, many stones were table cut, which amounted to creating a single polished face. 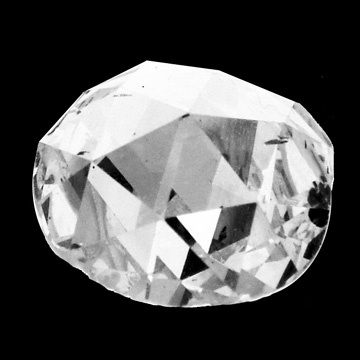 An example of a rose cut diamond. Later, with the development of new techniques, equipment, and new trends, rose cuts became popular. A rose cut stone typically has a flat bottom and radiating triangular facets that come to a point on the top of the stone. This was a very popular cut for a long time and is a favorite today in antique style engagement rings. 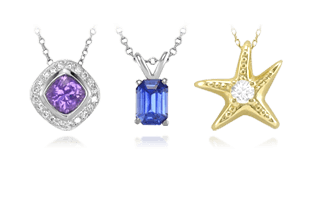 Today, gem cutters use three main cutting styles to create faceted stones: brilliant cuts, step cuts, and mixed cuts. Diagram of the features of a brilliant cut gemstone. In a brilliant cut, the girdle is the narrow edge around the part of the stone with the widest diameter. It separates the gemstone’s crown and pavilion . The tiny facet at the very bottom of the stone is called a culet. Culets can vary in size, but they are usually very small. Sometimes the point of the stone is called a culet even if the stonecutter created no additional facet. A stunning princess cut diamond. The princess cut is sometimes referred to as a square modified brilliant, as it combines the brilliance of a round cut with an overall square or rectangular appearance. 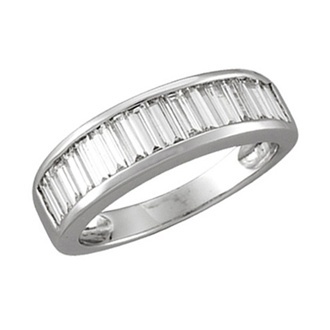 While brilliant cuts are made up of radiating facets, step cuts consist of parallel facets. Examples of step cuts include the square step cut and the emerald cut. 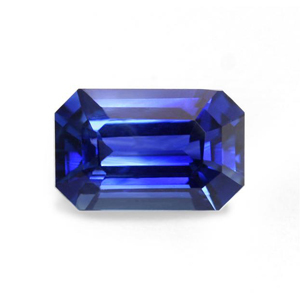 A lovely emerald cut blue sapphire. 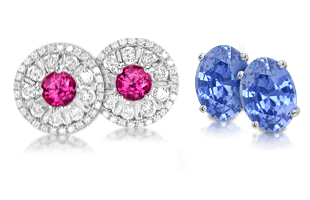 While the facets of a brilliant cut create a lively play of color, the geometry of the brilliant cut is a poor match for many gemstones because it creates a large amount of wasted rough . The parallel arrangement of step cut facets allows cutters to adjust the finished stone’s proportions to the shape of the rough crystal. 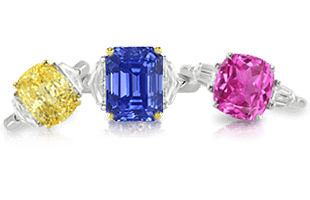 Step cut gemstones may not sparkle like those with brilliant cuts, but in exchange they offer broad, uninterrupted expanses of color. Step cuts are usually reserved for clear gemstone rough with outstanding color. The glitter of a brilliant cut can obscure inclusions , but a step cut will only emphasize the shortcomings of a lesser stone. 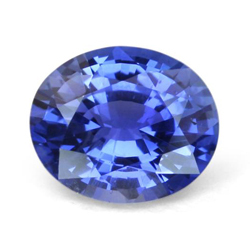 An oval mixed cut blue sapphire emphasizing color and clarity. A baguette is a small rectangular shaped gemstone. A term derived from the French, meaning long and thin (as in baguette bread). Baguettes are step cuts, similar to emerald cuts, but generally small in size. If the baguette’s two long sides taper inward, it is considered a “tapered” baguette. 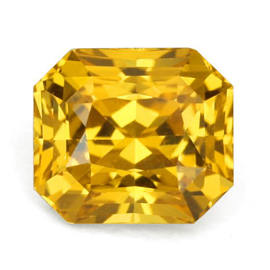 A gorgeous radiant cut golden yellow sapphire. 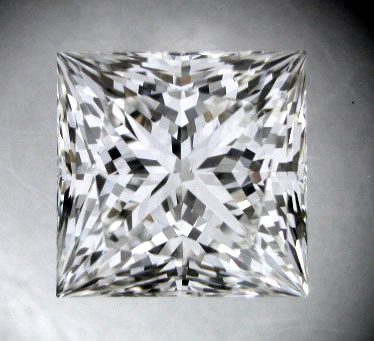 Another common faceting style is the mixed cut, which combines a brilliant cut crown with a step cut pavilion. An example of a mixed cut is the oval mixed cut. Mixed cuts offer significant advantages over brilliant cuts and step cuts. The crown of a mixed cut gemstone is brilliant cut to maximize the brilliance and sparkle of the stone and to obscure minor clarity issues. The pavilion is step cut to save weight and bring out the color of the stone. A sampling of briolette shapes and cuts. One of the newer gemstone cuts is the radiant cut, which is a rectangular mixed cut with a step cut crown and brilliant cut pavilion. Briolettes are stones cut in the round to make a faceted teardrop shape that looks especially appealing when dangling from an earring or pendant. 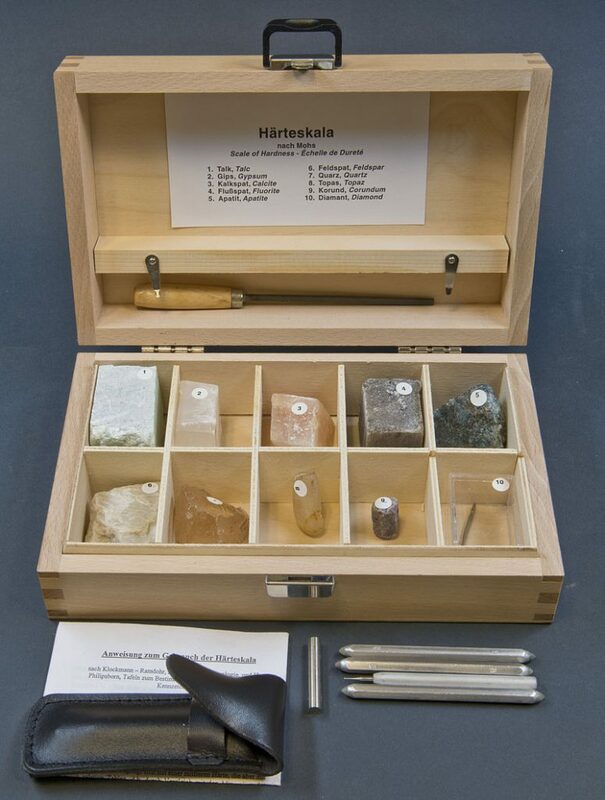 Next, an important consideration when choosing a gemstone, explore The Mohs Scale | A Guide to Gemstone Hardness.